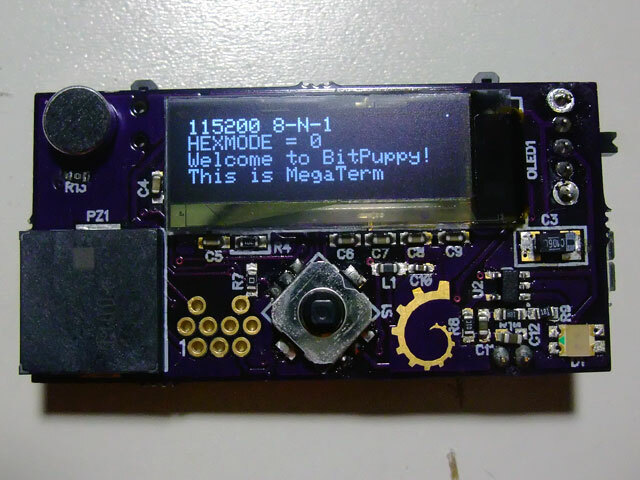 BitPuppy is a tiny general-purpose microcontroller development platform based on the 8-bit Atmel ATMega328p AVR microcontroller. The green LED indicates that this BitPuppy is fully charged via the Micro-B USB port. The microcontroller can be programmed directly via the AVR ISP 6-pin interface with a special bed-of-nails programming adapter with spring-loaded pins. It can also be programmed using the onboard USB-serial interface. 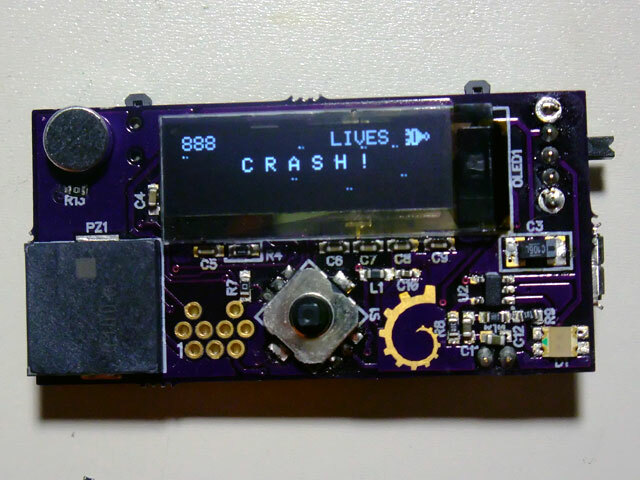 The device is compatible with variants of Jason P. Kyle's original stk500boot.c AVR bootloader code, which is supported by AVRDude, and should be Arduino-compatible. 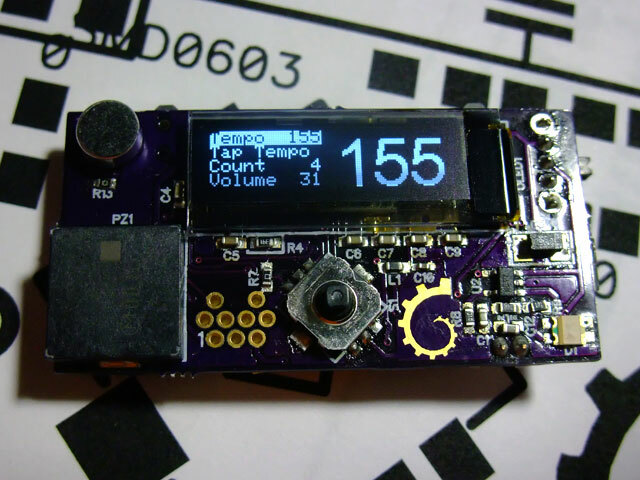 No Arduino integration has been tested at this time [2012.10.18]. 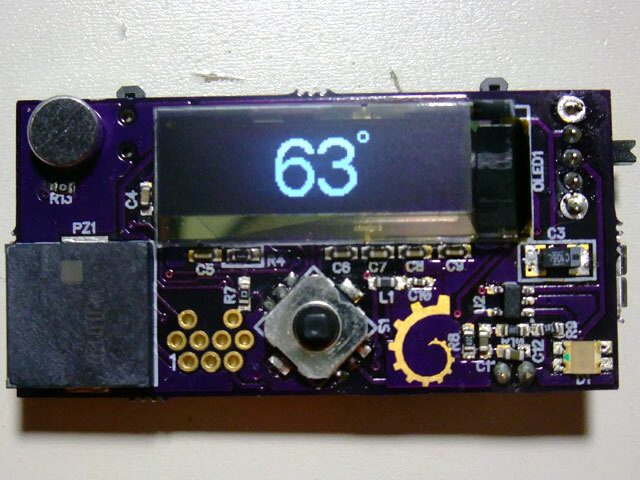 The goal of the BitPuppy is to provide an extremely portable device that can be used to speed prototyping, or just as an educational tool as an introduction to microcontroller development. With all of the on-board peripherals and demonstration code, the BitPuppy platform lends itself to a very comprehensive learning environment. This entire project will be open source once v1 is completed. 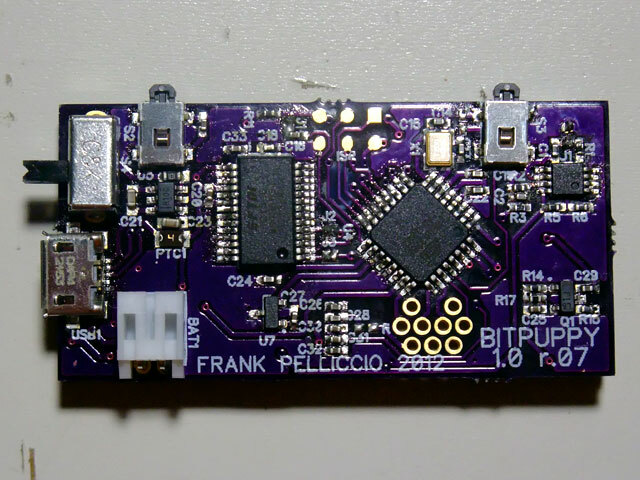 Production BitPuppy devices will also be available soon, along with some peripheral epansion daugherboards. Here is an earlier prototype in action. 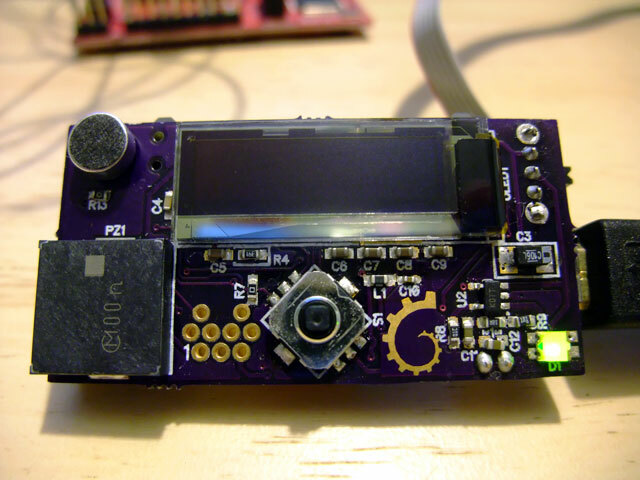 PuppyScope - audio oscilloscope that can also broadcast audio data over a serial stream [even wirelessly with Bluetooth]. The audio stream can be interpreted by any receiving application. A demonstration application written in VB6 to decode the serial stream and output the audio via the computer's audio interface is also written. 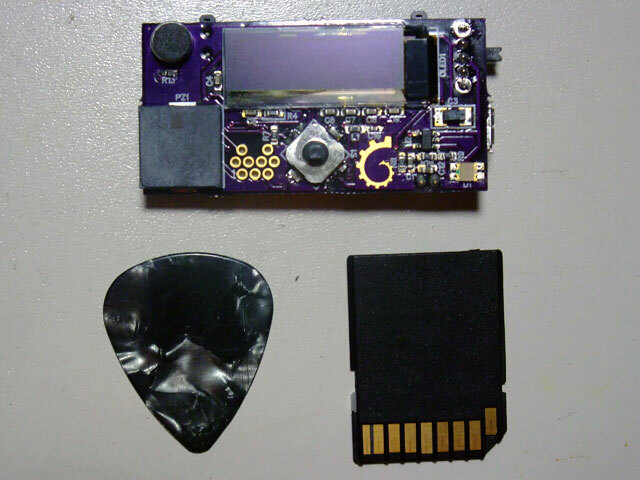 With the addition of a Bluetooth SPP [serial] module, the BitPuppy platform opens-up many possibilities, such as a programmable "pager" to alert of new emails, twitter updates, SNMP triggers, etc. The BitPuppy could be used as a baby monitor, or a two-way digital radio, a MIDI sequencer, a gaming platform, and many other applications.